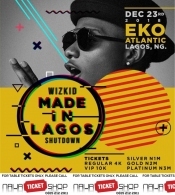 Click to enlarge Experience global superstar, Wizkid like never before! Wizkid will be performing alongside his friends to an estimated audience of 20,000 people at the purpose built Eko Atlantic City Festival Grounds in Victoria Island, Lagos, Nigeria. Featuring: Wizkid, Tiwa Savage, Not3, Dj Tunez, Ceeza Milli, Maleekberry, Runtown, Burna Boy, Duncan Mighty, Slimcase, Harry Songs, Kce and Mr. Eazi. 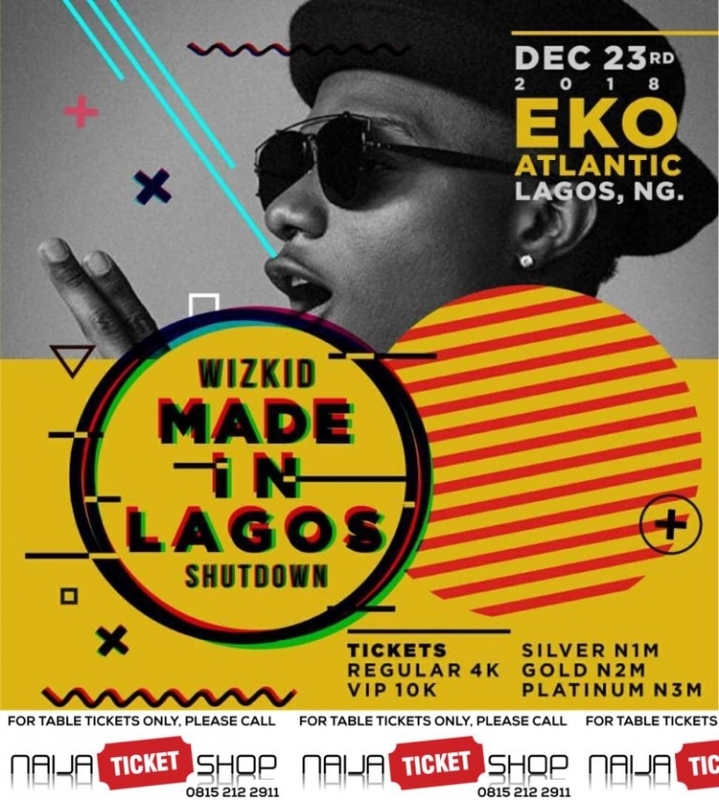 Bullet Description: Wizkid will be performing alongside his friends to an estimated audience of 20,000 people at the purpose built Eko Atlantic City Festival Grounds in Victoria Island, Lagos, Nigeria.